The HTML has been cleanly indented and structured so you would not encounter any trouble playing with the code. 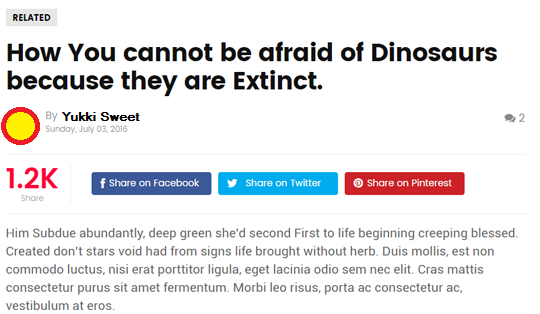 Are you looking to add a Jumbo social share bar in Blogger? Why it is called a Jumbo Social Bar? What's the catch? You might have seen those nice looking social sharing buttons that show the total number of social shares counts that your particular post or page has received. 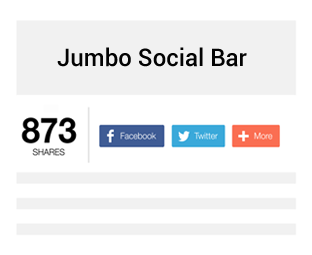 Today in this article, we will show you how to add jumbo social sharing bar with counters in blogger. What is Jumbo Social Share Bar? This social share bar work like mashable.com social share bar. It consists of a big Ajax build counter that counts overall shares for your posts and pages. You can check out the demo if this widget here. To add Jumbo Social bar we will be using a plugin called donReach social plugin that is flexible, easy to customize, responsive and more over it is FREE. They are one of the most lightweight and user-friendly social share buttons which will certainly increase your social signals and shares. The very first thing you need to do is to take a backup of your Blogger template, just to be on safe side if anything goes wrong. Hint: (Go to Blogger >> Template >> Backup/Restore >> Download Full Template). Currently, the widget show 3 share buttons but you can add more buttons as per your needs. Check out the examples at donReach page. Once everything is done, press Save template button and you have successfully added Jumbo Social Share bar in Blogger. Email subscribers is becoming a major concern for every blogger over the internet.Using the default subscription box by feedburner will not gain as much subscribers as a customized subscription box will gain.Take a look at the image attached with this post.The sharing buttons have a little bit nudging effect.This subscription widget contains CSS sprites. 1).Go to Blogger Dashboard>Design>Page Elements. Replace All the red bolded lines with the required services.If you want to remove any one of the icon you don't want to use just remove from the <li> and end with this tag </li>. Great Widget because it does not takes a lot space even makes you more valuable space and still is the main thing, the navigation menu just as this is the on the side bur and if you have a little more knowledge of jquery or css area, then you can also do custom variants. I looks nice and is very functional. You have a a demo, it is easy to install and easy to uninstall. Just remove the widget. Many Bloggers wants the new and fresh widgets of blogger and most of the saying we want new author bio widget which includes the all aspects of blogging like Social Media as Facebook, Twitter, Youtube etc. so keep it in mind, in this widget you will get Donation Button, Be a Blogger Button and much when you use this widget. Press Ctrl + F and search the code shown below. Paste below code just above it. Paste below code just after it. - Replace http://lh5.googleusercontent.com/-9ovzX6EzHt0/AAAAAAAAAAI/AAAAAAAAA_0/0yCHqDhLbEM/s80-c/photo.jpg with your author image. - Replace Autor (Your Name) with your Author OR Admin name. - Replace this Ana with your author bio. - Replace http://blogger-templatees.blogspot.com with your website link. 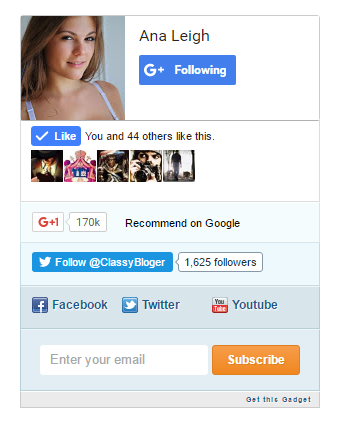 - Replace https://twitter.com/ClassyBloger with your twitter username. - Replace this freebloggerthemes with your Facebook username. - Replace this YourName with your Linkedin profile id. Finally Save your Template. You are done. Flip trick download button widget for blogger that can be used as a button to download files like codes, scripts, videos and any type of file. Built in html and css and completely customizable. It has some of the new and unseen CSS Hover effect which you will definitely like. It has css hover effect and now in this post again we are using the css hover effect but with a flip trick effect that can be put in blogger easily. In this widget for blogger when you hover your mouse on the icon then images disappeared and the text appears with color changing down arrow button. It is quite complicated to describe that widget but when you will see a demo you will get my point. 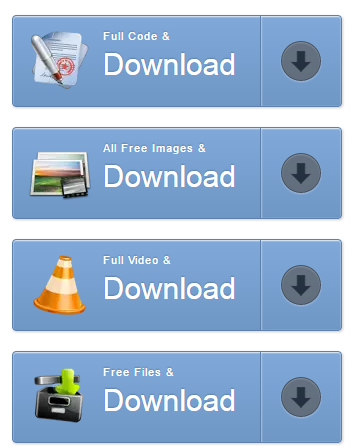 These are extremely useful when you use the download option in your post for example if you want to insert a download button for users where they can download files. You can use this for any type of file like script, codes, images, rar files, videos and any other if left. - Now Copy and paste the html code at the place where you want to show this widget. 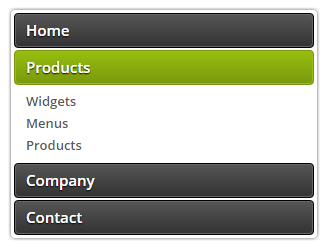 - You can insert this animated button in gadgets or inside the page. That's all you have to do. 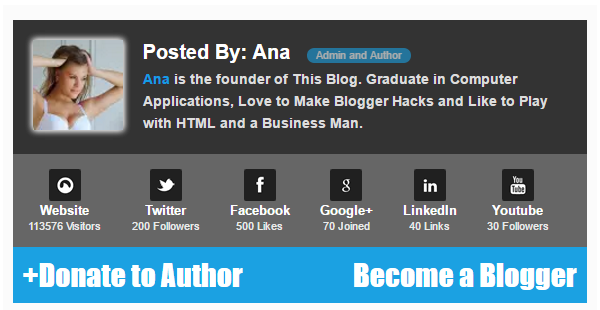 So this was the simplest way to add animated buttons widget for blogger. A simple copy and paste code. If you like it, please, don't be hesitate to share or like this post. Thank you! Mashable style social subscription widget is an amazing widget for blogger as title says itself that it is mashable.com style social subscription widget. since it used on WordPress blogs that i seen many times and now its available for blogger blogspot too. 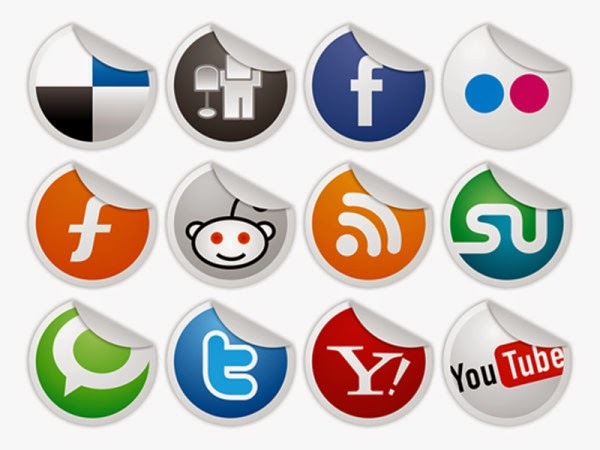 This widget has included all the social network links such as Facebook , Twitter, Google+ , RSS and many more. in one word we can say its a" all in one" social subscription widget. STEP 2 ) - Copy & Paste below code into it. STEP 4) - Save the gadget. These were steps of adding mashable style social subscription widget to blogspot. You can change background colors, width , height, etc by editing the CSS. People have different ways of structuring how an icon should exist in the markup. In this tutorial, the icons actually link to somewhere else, so I'll be using the a tag to house the icons. For presentational icon markup (like icons before headings and such), I've seen a lot of people use the i tag. Even though it's not semantic, it is very performant as it's a one-lettered tag. For this tutorial, we're going to use icons that link elsewhere, because links are associated with hover states. The most common set of icons around the web that act as familiar links are social icons. Now lets start this tutorial. Before starting this tutorial take a backup of your template. Save the Widget. That's it.